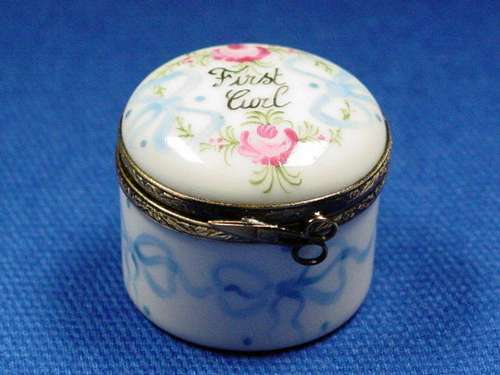 BLUE FIRST CURL - Limoges Boxes and Figurines - Limoges Factory Co. This small round Limoges box is made with a fascinating purpose. The lid of the box carries the inscription ‘First curl’. This blue Limoges box is obviously meant for keeping the first curl of your son since blue is a boy-color. 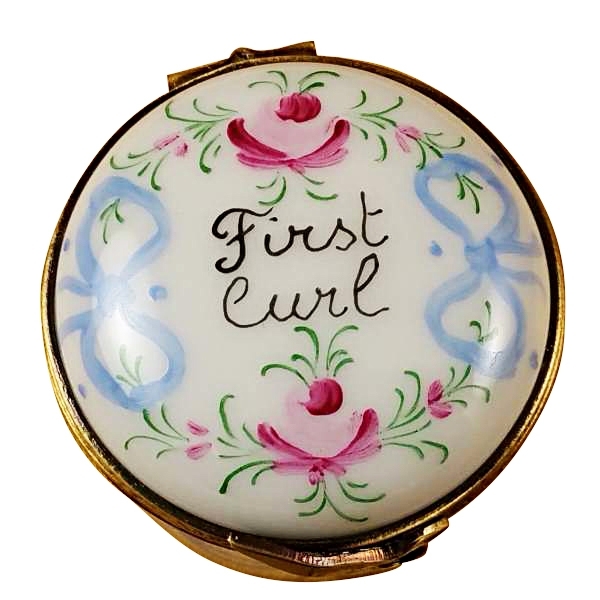 He will be tickled to see his very first curl preserved by his mother. 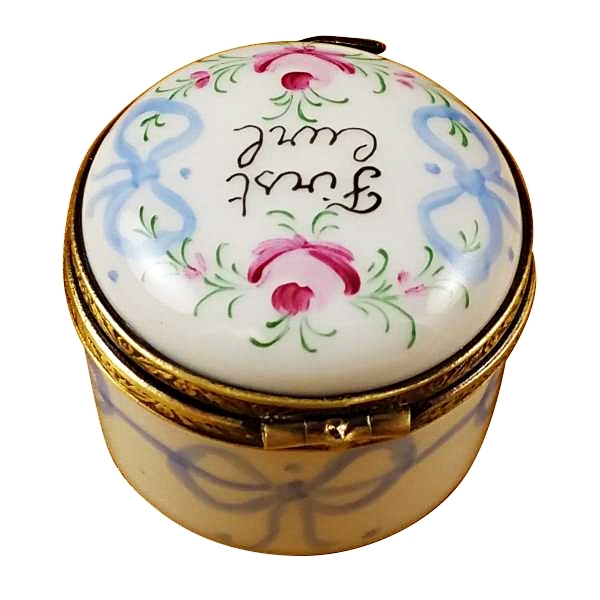 The lid of this white Limoges porcelain box is hand painted with delightful rose blossoms and buds. 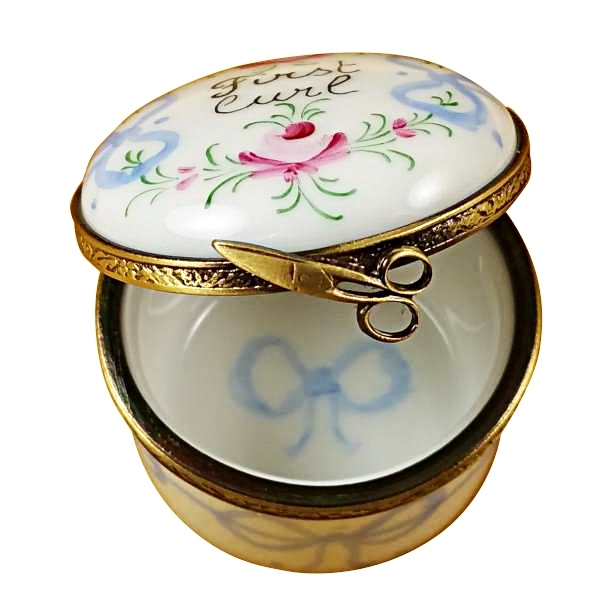 This is a suitable gift for a new mother.